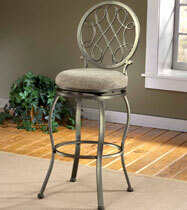 KitchenSource.com offers a large selection of the finest bar stools available from 27 manufacturers in a variety of styles to complement any décor. 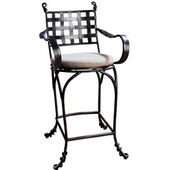 Choose swivel stools, wood stools, metal stools, retro and diner-style stools, counter stools, backless stools, soda fountain stools or outdoor stools to fit your particular setting, be it residential or commercial. 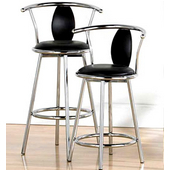 Made of quality materials, the bar stools are available in an assortment of colors and finishes with wood or upholstered seats and come in a range of seat heights to accommodate bars and counters. 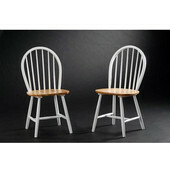 Create your own dining atmosphere with table and chair sets, pub sets and chairs. 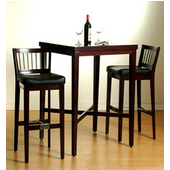 From traditional to modern, and everything in between, you'll find the perfect bar stool, counter stool, table or chair here at KitchenSource.com.